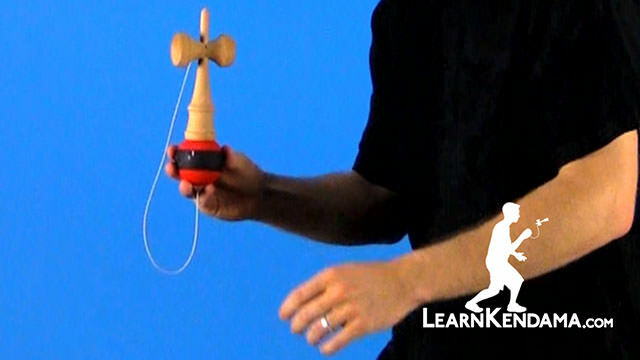 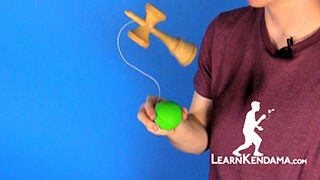 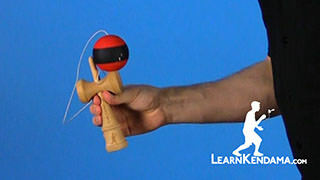 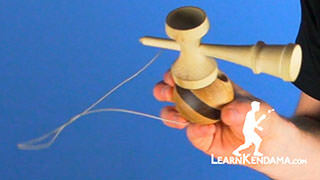 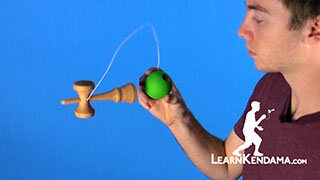 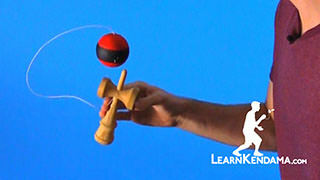 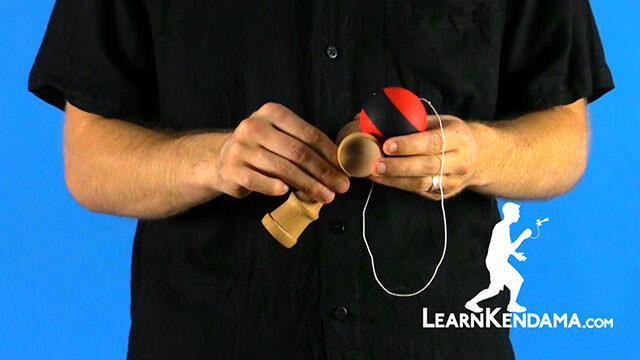 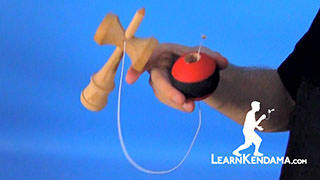 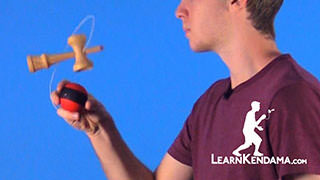 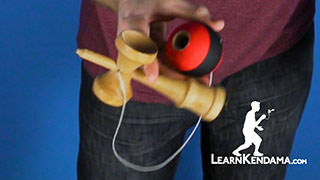 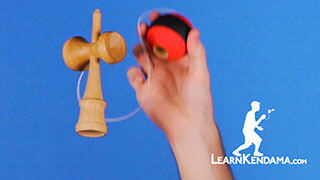 Learn how to do the kendama trick known as Rock Slide. 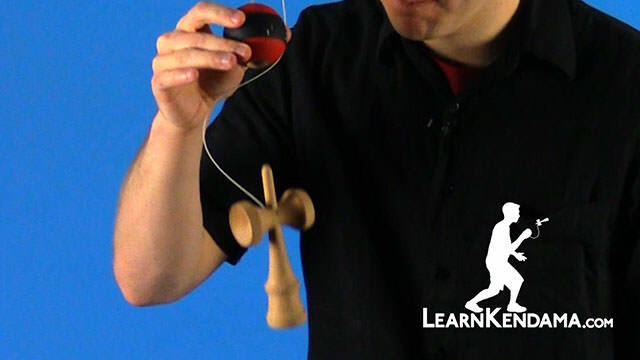 In order to do this trick, we are going to start by holding the ken in a modified Sara Grip with the spike pointing downwards. 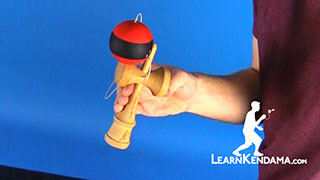 You want to get a nice firm grip from the ken. 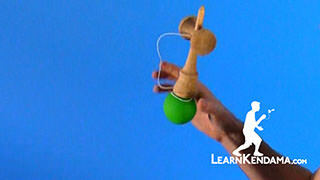 Then, you are going to use you non dominant hand to make your pointer finger stick out. 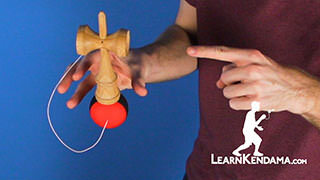 You are going to swing the tama under your pointer finger and onto the base cup. 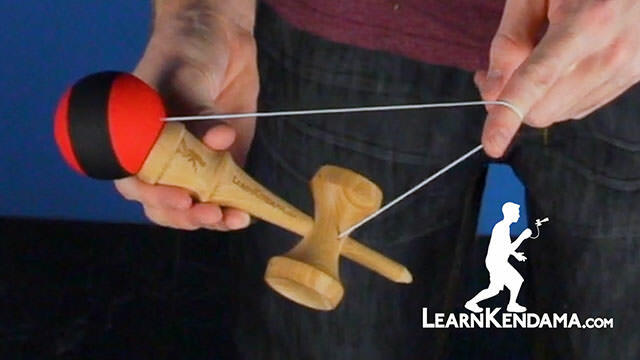 Now before we let go and swing into Lighthouse, you can see you want to make the string formation a triangle first so you feel the ball sticking to the base cup. 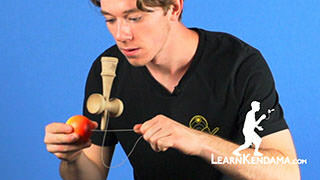 You want to get a little bit closer to the serato. 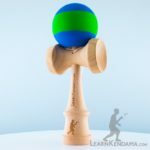 This not only lines up the tama hole, but it also help it stay together a little bit easier and it keeps the ken more in an upright position to transition to lighthouse really easily. 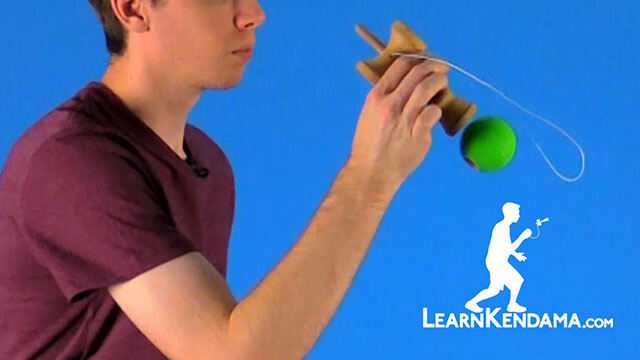 So you want to make sure when you let go, that you are as close to parallel as possible. 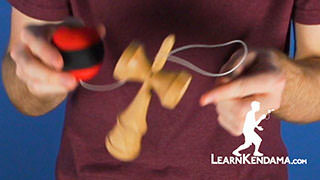 If you just drop it and your finger is not close to the serato and drop like this you can see the whole formation falls apart. 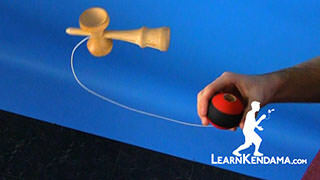 You really want to make sure that your finger is below the serato and you let go on the side. 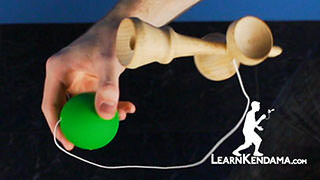 You can practice letting it go and letting it hang, and being comfortable with that feeling. Once you are ready, you are going to bend your knees and I like to, as I bend, change the position of the ken so that it make it look a lot smoother. 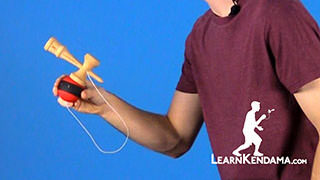 You are going to let go and pop it up, and catch the tama in the lighthouse. 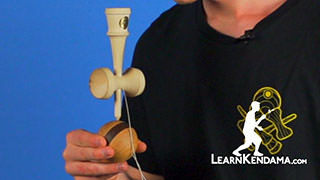 And the hole of the tama is always toward the bottom which makes it really easy to stunt plane out of this. 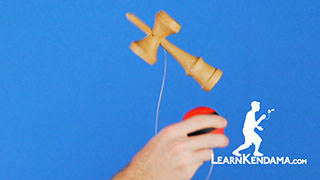 That is my preferred method, but however you can do trade spikes, you can land in a cup, you can transition into a lot of tricks you can do out of lighthouse. 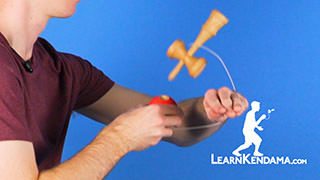 And that is how you do Rock Slide.